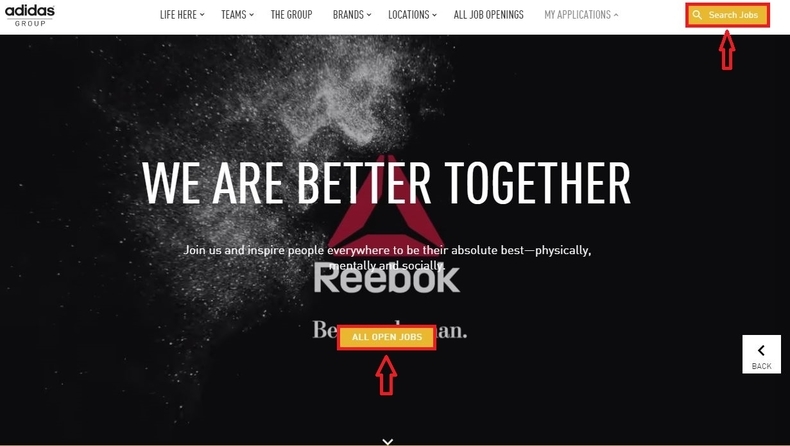 Visit Reebok careers page at careers.adidas-group.com to know more about Reebok and its parent Adidas as well as the team. You can click the button "Search Jobs" on the upper right corner of the page to start your job search or click "ALL OPEN JOBS" to view the entire job openings. Here we choose to view all open jobs. Browse the job openings list and select the one you are interested in. 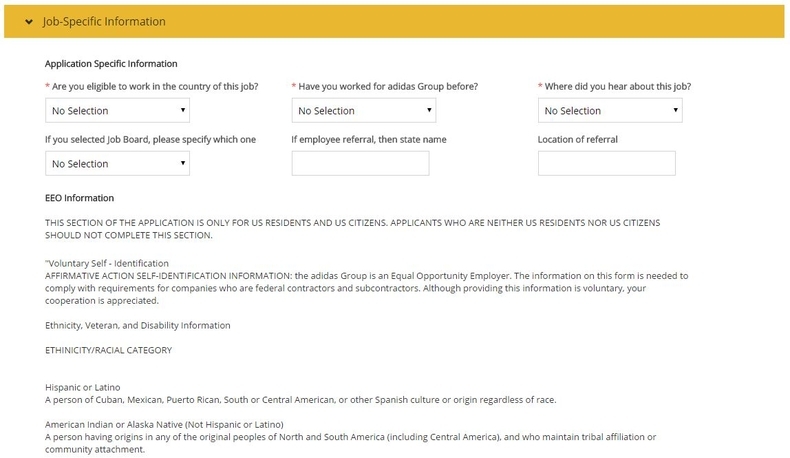 You can use the criteria on the left of the page to quickly filter your preferred position and then click the job title to view the details of the position. Here we choose the second position on the list to set an example for you. Read the details of the position like key responsibilities, required knowledge skills and abilities as well as qualifications carefully and think about whether you are sure to apply for this position. 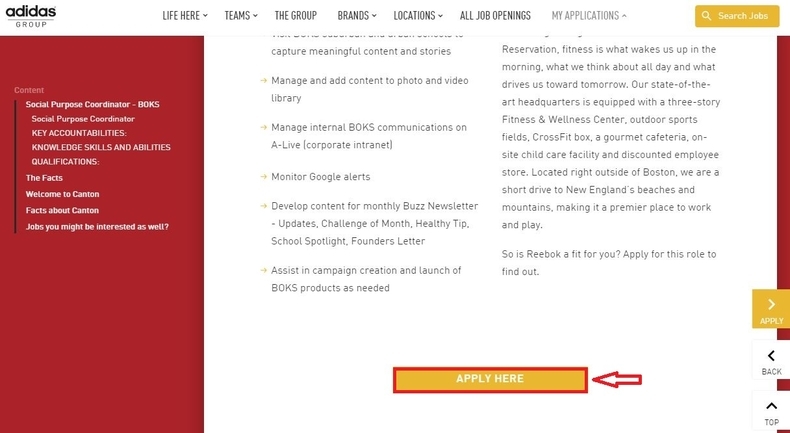 If you can match the requirements and you are going to apply for the position, just click the button "APPLY HERE" at the bottom of the page and then click "Apply now" on the next page to start your application. 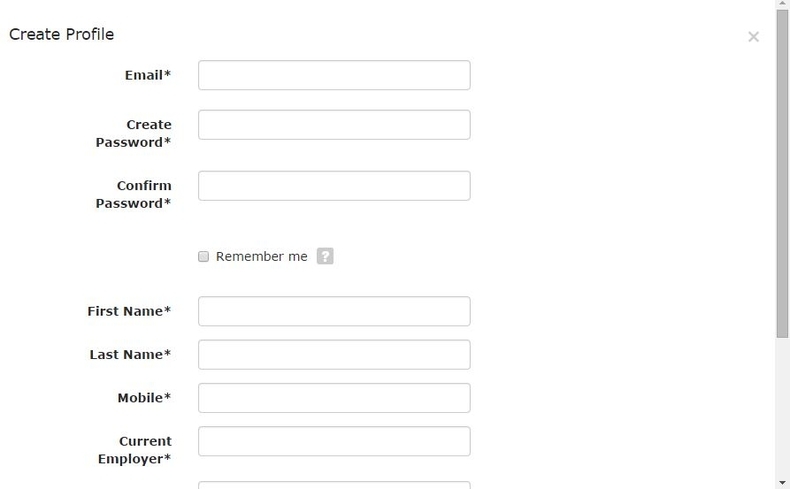 Choose your resume file to upload. 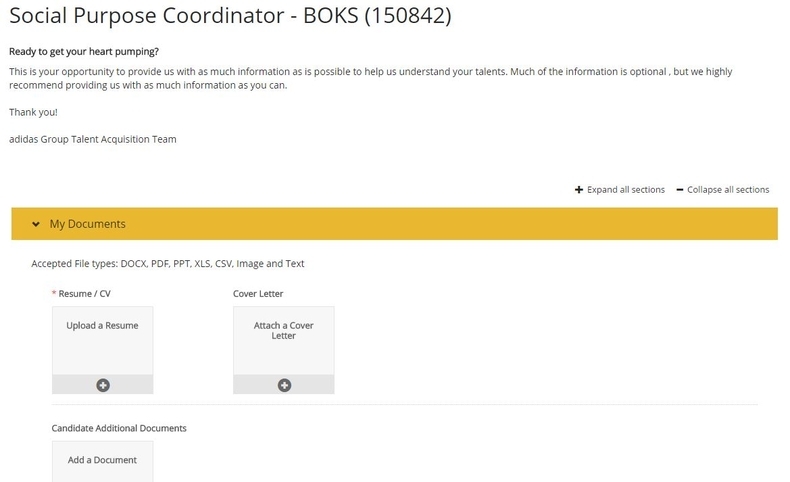 You can also attach your cover letter or additional documents. 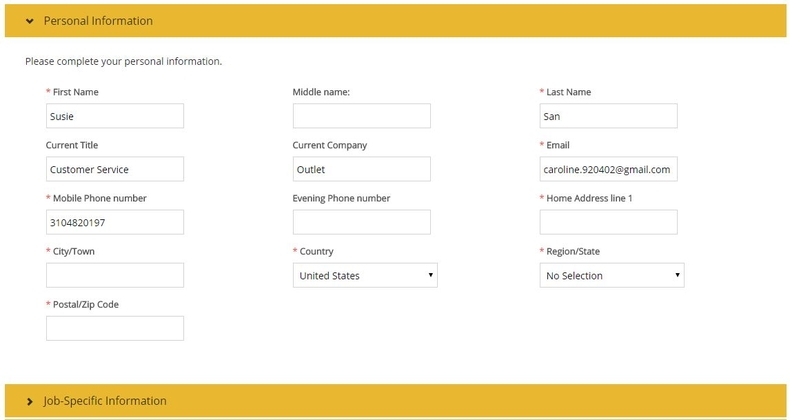 Complete your personal information like name, phone number, and address etc.. You need to complete all the required fields marked with asterisk and then click to complete the next step. In this step, you need to provide some job specific information or answer some job related questions, such as your eligibility to work in the country of this job, the place you hear about this job etc. Finish all the required fields, just click the title of next step to continue. Follow instructions to finish the rest steps like your external work experience, education, languages, mobility and skills etc.. Complete the required fields in each step, you just need to click the title of the next step to continue. You can click the button "Send Your Application" to submit it once you finish the final step of indicating your career interests. After you submit your application, you will be directed to a page where you can see a Thank You notification which indicates that your application has been sent. You can click the link to return to the job listing or view your profile. 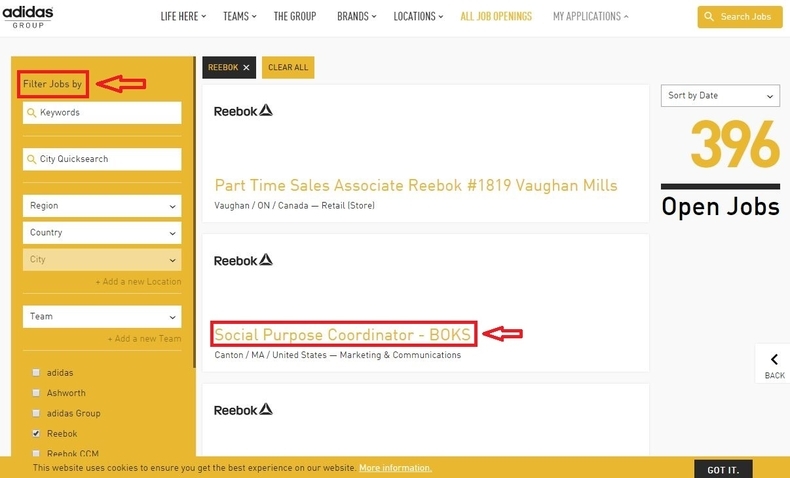 Click careers.adidas-group.com to apply for Reebok jobs online.